Pokemon continues to be a massive phenomenon on the face of gaming, since its release in the late 90s. The term Pokemon is a Romanization for pocket monsters, the creatures that must be caught and trained within the game’s world. The player must use them to win Pokemon gym battles, earn badges and fight in the big league tournaments. While aimed at a younger audience, most of the game’s players are older teens and adults who invest hours of free-time into the series. 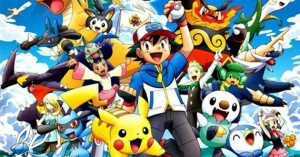 The Pokemon franchise has sold over 200 million copies as of 2010. Pokemon’s simplicity and addictive game play will no doubt engross gamers for a good while. Red and Blue on the Gameboy are the first games in the series, and praise goes mainly toward their multiplayer and trading systems. The only real flaw to the two games is the somewhat primitive graphics and unpleasant sound quality.